I wonder what you think is quite possibly one of the greatest challenges to the Christian Disciple standing alone and being faithful to God in the twenty first century? I want to propose to you that this threat is the temptation of materialism, or to be materialistic. This is where following Jesus’ command to follow Him, take up the cross for ourselves becomes practical. This is where loving God and loving others becomes difficult. Materialism grips both the Church community and also Christian Disciples if it is allowed. Eschewing and casting off materialism will see Christian Disciples who are radical by the very society, which we are trying to win for Jesus. Every person has in differing quantities: possessions and money. These things, in and of themselves, are not evil. It is however our reaction and attitudes toward them that causes us to be seduced in this area. Materialism is a reliance on possessions, money people or even the church, as our ultimate objects of trust, instead of God. The Apostle John writing in 1 John 2v16 gives a very accurate picture of materialism: “lust of the flesh, lust of the eyes and the pride of life.” That, brother and sisters, is materialism! If there were to be a particular sin that marks our generation, especially in the West, then it would be this sin of materialism and the worship of money, objects and people. Every day hundreds of thousands of people die from lack of food, water, clothing and shelter. For each of us in the West, these things are taken for granted. When we feel like a change of house or location, we just move. The whole Christian community is one that reflects the Holy Trinity, Father, Son and Spirit. The Church is to be a community where the strongest members support the weakest members. 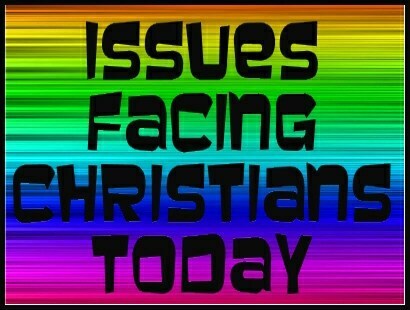 Where one member of the Christian community suffers and hurts, the whole Christian community suffers and hurts! This applies not only to the local church in a local community context, but also to the universal Church and therefore has a national and international context as well. Too often as Christians we are found turning a blind eye to the suffering of others where the bare necessities of life are in sparse existence. Too often we gather possessions and people, instead of giving up our time and money generously to help the poor and needy of both our local and global communities. When one member of the universal body of Christ is hurting, the whole body hurts! As Christian Disciples living in the world of the twenty first century, where wealth is seen as a sign of success, the cult of celebrity is rife and where family, morals, ethics, community and God have taken a back seat, how should a Christian Disciple respond to materialism? A lot of Churches measure their success solely by the number of members in the congregations or by how much money goes into the offering pot each week. However, not just good things grow. Islam measures its success on the so-called growth in those who would consider themselves a Muslim. It is probably the fastest growing religion in Australia. However, every gardener will tell you that even weeds grow! So counting numbers is not the best way to measure success. By doing these two things, we show we trust in God and not in anything or anybody else. By exhibiting these commands, we cast off materialism and any thought of materialism from our lives. By doing those two things, both as a Church and as individual Christian Disciples, society will see we are neither dangerous nor deluded. To Richard Dawkins, Christopher Hitchens and his aficionados who think all religion is pure evil, based on delusion and that religion has never done a good thing in history to benefit humanity, it will help show the folly and irrationality of their thinking. If Church communities and Christian Disciples make radical steps such as eschewing materialism, both in being and making Disciples, I think the Church and Christian Disciples would no longer be seen as evil, deluded and irrelevant. Rather they would be seen as a thriving community of people, resulting in Jesus being glorified and holy transformation sought. After all, Jesus is to be the master of those who would call themselves a Christian Disciple and the Head of the Church. As a Christian Disciple and the church as a whole, you and I are to eschew materialism, cast it off and live a life worthy of our God, living in total obedience to Him and reflected in the love we display for both our local and global communities. For more to think about, please do read for yourself Matthew 22:37-40. Ask yourself the following questions, writing them down if you can, and see how you respond or react to them. Then why not share your answers with your spouse or a close friend, so that you can pray over any issues together. Q1 – As a Christian Disciple, in what ways am I being seduced by materialism and the gathering of possessions, people and power? Q2 – What things can I do, not do or give up in order to aid the weakest members of my community – local, national and global? Q3 – How can I better use my “passion, prayer and intelligence” this week for the glory and honour of God? G’day and welcome to Partake Issues! Today we are going to talk about government! At the time of producing this, we are in the final stages of the run up to a General Election, where people will be voting for their political representatives. After al the votes are counted there will be a government elected! This of course, is not unique to the UK! All people all over the world live under some from of leadership or government. That government may be democratically elected, a monarchy or even an oppressive dictatorship. Whatever kind of government we find ourselves with, we have one! If there was not a government in place, as hard as it is to imagine, total chaos would reign and people would just do whatever pleases them, regardless of consequences and regardless of other people. Therefore, regardless of whatever government we live under, what does the Bible say should be our reaction and attitude to the government. By government, I mean all levels of government and authority – from local authority to federal government. But first of all, lets look at what the Bible has to say about the function of human government, before going on to look at our responsibility to Government and our community. Here Paul indicates that there are at least three functions of a human government: protection, punishment and promotion. Protection: From the moment Adam sinned, it was plainly obvious that human civilizations would need some form of restraint and law, in order to protect their citizens – form themselves and others. We see this clearly in Acts 21, where the Roman soldiers step in to save Paul from being killed by other people in Jerusalem. Promotion: Human government, as thought by Paul, was to promote the broad-spectrum welfare of all the community and not just select groups, where its laws are in effect. From these passages of Scripture we see that it is clearly impossible to be simultaneously a solid Christian and a poor citizen. As Christians we have responsibilities to our government. Firstly we have a responsibility to recognize and acknowledge that God ordains the Government. We see that from Paul’s writing in Romans 13 and Paul was writing when the Emperor Nero was in power and systematically persecuting and torturing Christians! We also see this thinking in the passage from 1 Peter. There is no authority except as given by God. Even to the most sadistic, dictatorial or atheist governments – they have power only because God has allowed them. So we are to obey our government! But it is not to be slavish obedience regardless of what laws are decreed! No! The exception to this is where obedience to the Government would require the Christian to actively or passively disobey God. For we read in Acts 4v18-20 that the believer is to live in obedience to God rather than man. Secondly, as much as we probably hate to, we are commanded to pay taxes to the government! For by doing so, the government can set about ensuring, for example, that the weaker and more vulnerable sections of the community are cared for and protected! Thirdly, and quite possibly, most importantly, Christians are to pray for their leaders, governments and those in authority! Both Peter and Paul command and recommend it! To pray for them is to love them and it is also a way for God to shine into the lives of people. One of the things we are to pray for, is that the government governs righteously, honourably, honestly and with integrity. The Christian, as a citizen, is free to be law-abiding, conscious that they are under submission to Almighty God. It also means giving respect to all members of society from the lowest to the highest! As Christians, we are to submit ourselves to our Government and be living lives worthy of the Gospel of Christ. This may indeed win some for God, win the recognition of their government as well as influencing Government policy and law. Whatever government you find yourself under, pray for your leaders even if you thoroughly disagree with some or all of their actions. They are in power, only because our God has allowed them. They will answer to Him one day for what they have done with the power given to them by God alone. God is in control, and He is on the ultimate throne and is the definitive power! But just as we have responsibility to our Government, we also have a responsibility for those in our community – both local and global. We are also to work for social justice and be involved in social action – that’s part of our loving of other people. The oppression and persecution of people is to be anathema to us as Christians, just as it is to our God! Where a minority is maltreated and discriminated we should be at the forefront of demanding justice for all! We are to be promoting civil rights and using all aspects of the law to do so. We are to be working to ensure the poorest members of our community, both local and global, are cared for and the oppressed freed! For more to think about, please do ask your self the following questions, writing them down if you can, and see how you respond or react to them. Then why not share your answers with your spouse or a close friend, so that you can pray over any issues together. Q1. In what way can I influence and encourage my government to promote justice, free the oppressed and take care of the poor? Q2. How can I help my government authorities to protect, punish and promote? Q3. When was the last time I actively prayed for those in authority over me, whether Christian or secular? Our first e-book is released! 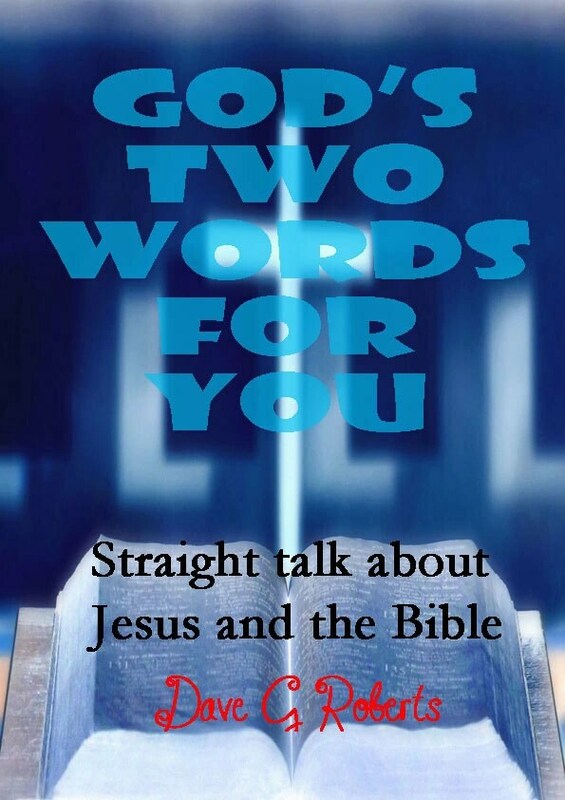 God’s Two Words For You! believed in Him would have everlasting life.”John 3:16.
already does. If you are not in relationship with God already, now is the time! How to change Ch-rch to Church! 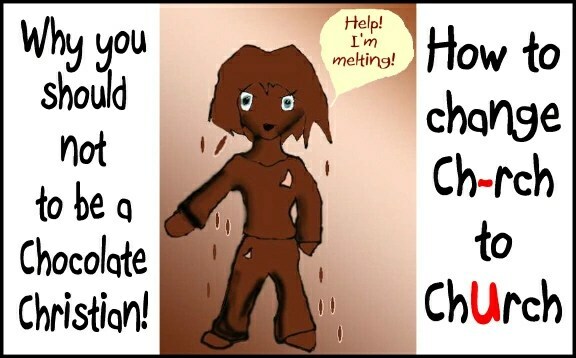 Have you ever noticed that chocolate melts under pressure & heat? If you haven’t, take a piece of chocolate and hold it between your fingers! It will soon melt! If you are a Christian, you need to be active in your local church so that you don’t melt under pressure and you will remain firm in your faith! Otherwise you will be a chocolate Christian who easily gives up under the stress and pressure of every day life! Psalm 66 – True Joy! All together now-applause for God! set glory to the rhythms of his praise. they slink off like scolded dogs. can’t stop enjoying your name and fame. they’ll take your breath away. travelers crossed the river on foot. Now isn’t that cause for a song? his eye on the godless nations. raise a finger against him. 8-12 Bless our God, O peoples! 13-15 I’m bringing my prizes and presents to your house. of roasted lamb is like a meal! let me tell you what God did for me. my tongue shaped the sounds of music. the Lord would never have listened. he came on the double when he heard my prayer. he stayed with me, loyal in his love. a. Joy and the Earth (vs. 1-4) Listen again from another translation to that beginning! ” Make a joyful shout to God, all the earth! Sing to the glory of his name! Offer glory and praise! “. The majority of scribes and leaders of Israel normally only gave praise to God silently and in meditation. This was of course acceptable to God. But here among a great number of peoples the whole earth is encouraged to shout with great joy to God. This also was acceptable to God, and it is quite natural for great crowds of people to shout in harmony. If praise is to be widespread, it must be vocal; joyful sounds stir the soul and cause great thanksgiving spread throughout the people. 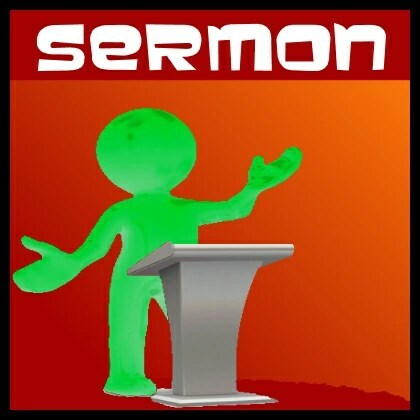 a. Sacrifice – As christians we should always give our best to God. The psalmist never presents a starving goat to God as a sacrifice, but well fed animals (v 15) of the best fields, Of all we have, whether small or large, we are actively encouraged to give God the best of it. It was not a waste to burn the fat upon the altar of God, nor to pour out the precious ointment upon the head of Jesus. Sacrifices show our heart love to God. Making sacrifices, shows gratitude to God in action, Joy comes from giving to God. b. Testimony, – Giving our testimony to people should cause us to have great joy. Telling people what God has done for us, should cause everyone of us to have even greater joy than we have already. Telling others of God’s mercy, grace and love is all part of our joy. When we lead someone to Jesus for the very first time, not only do they feel great joy and peace in their heart, but we feel great joy inside of us. The joy of God bubbles up inside of us and demands that we praise our God the Father. c. Praise, – Praising God lifts our heart, soul and spirit when we are feeling down. The whole earth one day will praise Him and have great joy; the nation of Israel praised Him for the things He had done for them and had given them much joy, The psalmist praised God, and there was great joy in his heart. He had many reasons to praise God, God listened to His prayers, took his sacrifices and worship, forgave him when he had confessed his sins, God had not withheld his love from him. Surely the praise of God’s people causes great joy to be spread amongst them. As humans we only feel happiness or pleasure depending on our circumstances, while joy is always separate from our circumstances. Happiness is a surface emotional response to good things; while joy is a deep-down heartfelt response that endures whether good or bad things happen to us. The world says happiness is looking out for number one and negotiating your personal good in all you do. The greatest good is their own happiness, however the happiness doesn’t last long so the search for happiness continues in its circle. Joy however, is the result of sacrificial love. It is for the good of others, not for ourselves, which is to be our judge of joy. When we give away our will, for the sake of others, we receive the joy that Jesus desired for us. Happiness and joy are radically different. In his autobiography, Surprised by Joy, C.S. Lewis described his pursuit of joy. He tried to find it in humanism, communism, eroticism, and lots of other human philosophies and searches. But they only led him to places where joy had already been. He did not find joy for himself until he realised that joy would come only as a result of putting Christ first in his life. Joy, unlike happiness, is never an end in itself. It is only as we make Christ our overwhelming first priority that joy, almost without our knowing it, comes. If we seek joy, we will lose it, because it cannot be caught. People of the world seeks happiness not joy. Joy is given only by Christ and serving him. Hebrews 12:2 says, “Let us fix our eyes upon Jesus, the author and perfecter of our faith, who for the joy set before him endured the cross, scorning its shame, and sat down at the right hand of the throne of God.” Jesus had the endurance to go through the pain and suffering because he had the end in view. He was affirming his purpose for the redemption of the world, and so he never lost sight of the joy that was set before him. Joy would come to him out of suffering because he gave himself for the redemption of mankind. Jesus prayed that his disciples would have joy: “I say these things while I am still in the world, so that they (his disciples) may have the full measure of my joy within them.” (John 17:13). The joy of Christ is transferred to us as we go about the task of serving him in this world. Joy is the second fruit of the Spirit. Joy is to be a quality about us just as it was a quality of the Lord Jesus Christ. However, sometimes we don’t feel as if joy is part of us. We begin to ask ourselves if we have lost the joy of our Christian lives. We look around at the world we live in and see all the misery and injustices; we see the waste of human life in cancer and HIV Aids, and we don’t feel very joyful. But when we do that, we are confusing happiness and joy. If we have lost the joy of our Christian life, we need to put back into perspective what God is calling us to do and consider if Christ is still truly first in our lives. Joy is Jesus Over Yourself. We can never truly lose joy, but we can misplace it if our priorities get out of line. Joy is not something to be worked at or toward. It is not a goal to be reached, nor is it an end in itself. Joy is the result of our relationship with Christ. A relationship of Jesus Over Yourself. Joy was sacrifice, testimony and praise to the Psalmist. It is for us too in the last days before His coming again. As this is now the night before Easter week, let us end with that comment from the writer to the book of Hebrews in regards to Jesus and joy. “Jesus, the author and perfecter of faith, who for the joy that was set before him endured the cross, despising its shame, and has sat down at the right hand of the throne of God.” As E. Underhill said: “This is the secret and meaning of joy, We shall no longer strive for our own way; but commit ourselves, to God’s way, submit to His will, and in doing so find joy and peace, -. In the New Testament, we have four accounts of the life of Jesus Christ which are Matthew, Mark, Luke and John. These are called Gospels. But what is a Gospel, how are the four accounts different or similar and what were the main points each writer sought to communicate.